1244 Lukie Points will be rewarded to you when you buy this. 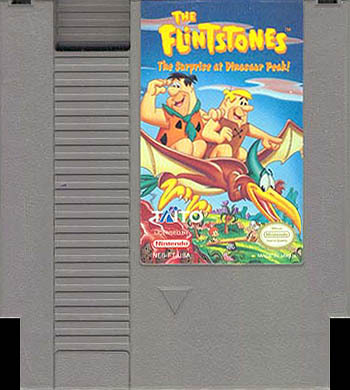 Flintstones Surprise at Dinosaur Peak - one of the RAREST original NES Nintendo Games in existense! This is the cartridge only, and is cleaned tested and guaranteed to work! Pebbles and Bamm-Bamm have wandered away from home and it looks like Fred and Barney found them. Unfortunately, an active volcano stands in the way. 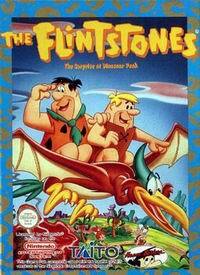 Now, Fred and Barney must travel across the pre-hysterical world of Bedrock to rescue the kids! Fred swings a mean club and Barney's sling carries a nasty sting in this adventure for the whole family. 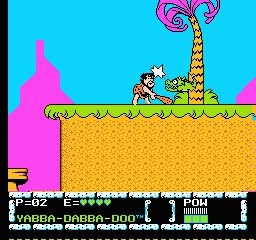 Scale the side of a cliff, use crocodiles as trampolines, and leap into action as Bedrock's most famous citizens go looking for their children. 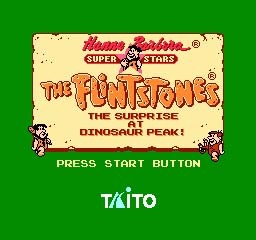 Collect the hidden five fabled fire gemstones to pay a greedy Pterodactyl to return Pebbles and Bamm-Bamm to their homes! A well overpriced rarity for the Nes. 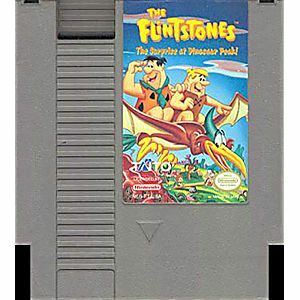 Let me start out saying Flintstones 2 is one of the rarest officially released licensed games for the Nes in existence ,second only to Stadium Events.But as a playable game this game is simply not worth it's price in tea!You could pay pennys on a dollar and buy the original Flintstones game ,and save yourself hundreds of dollars.If your interest in locating and purchasing this game is for the collecter's status than this game is certainly a lot easier to come by than Stadium Events or Nintendo World Championships 1990 .